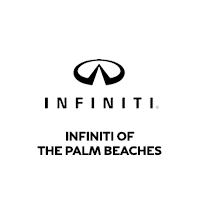 At INFINITI of the Palm Beaches, we believe that every part of buying your new car should be simple, transparent, and stress-free and that includes financing. Our dedicated finance team in West Palm Beach, Florida, can create a personalized lease or loan plan for you. We work closely with several local financial institutions to get you the best rates with our lease and loan options. This also allows us to streamline our process and get our customers on the road in their new or used cars even sooner. Still have questions about financing? Contact our team of automotive experts.